New MALEFICENT movie poster of Angelina Jolie! Here’s the latest Maleficent movie poster with Angelina Jolie. Maleficent is the untold story of Disney’s most iconic villain from the classic Sleeping Beauty. It reveals the events that hardened Maleficent’s heart and drove her to curse the baby, Aurora, only to later realize that the child may hold the key to peace in the land. 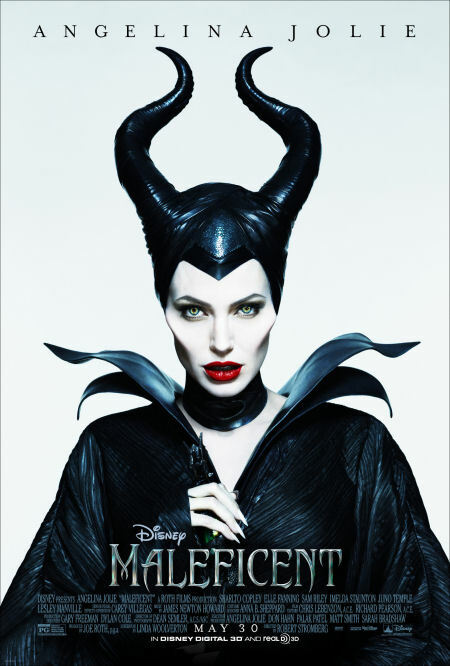 Maleficent is a Walt Disney film and will be in theaters on May 30, 2014!